This is a typical Sunday in Belize. Here—especially on the small island of Ambergris Caye—Sundays are dedicated to R&R. Sometimes my husband and I head north to lounge on a beach, or join a catamaran trip to snorkel at Mexico Rocks, or Hol Chan Marine Park. But most Sundays we join friends at a popular beach bar BBQ. After indulging we settle in to enjoy the rocking tunes of a local band. It’s our chance to brush up on our West Coast Swing moves while cooled by the ocean breeze… There’s always free live music playing somewhere in Belize. We seldom need to pay for live entertainment. Knowing this idyllic lifestyle is affordable helps to keep my blood pressure in check. We spend less than a third of what we did in California without sacrificing on lifestyle. Despite retiring early—in our 50s—we’re getting by comfortably. As gourmet cooks, we still enjoy fine food and quality wines. 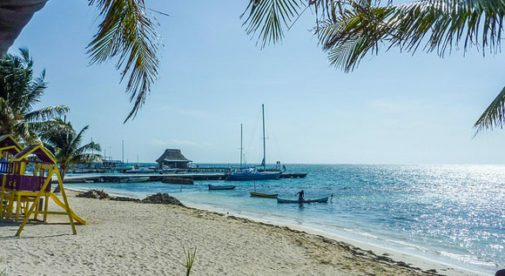 As a lot of things have to be imported, Ambergris Caye is the most expensive region of Belize. Still, we live on about $3,000 a month most of the time. Other island expats we know, who watch their pennies, spend $2,000 a month. (Most of us own our home or condo, so we no longer pay rent.) And some of our friends on the mainland, where it’s more affordable, live on less than $1,500 a month. 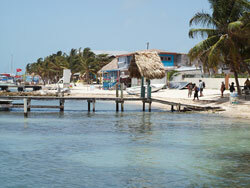 Ambergris Caye, Belize can offer you an idyllic lifestyle in breathtaking surroundings at affordable prices. These days I also take time to practice yoga in a natural environment. It feels special to share a yoga class on a palapa over the sea, or in another open-air island location, with your friends. I also have all the time in the world now to walking the beach…snorkel…or go to a wine-tasting. Belizeans are known for their “live and let live” temperament. 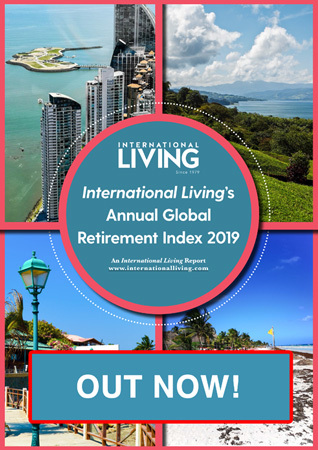 Fortunately, that attitude tends to rub off on us expats who choose to live here long-term. After all, what’s the hurry? Living here, I’ve learned to appreciate the island’s pace and easy-going atmosphere.